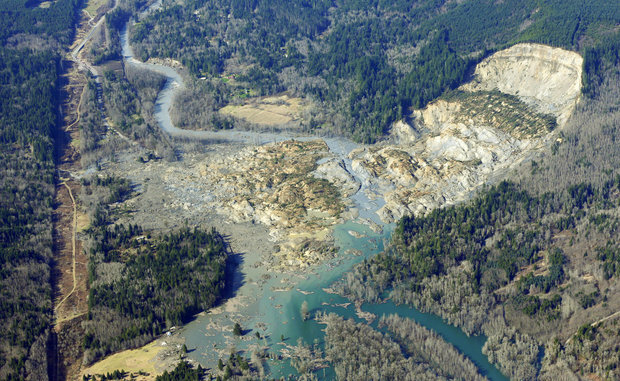 I’ve been amazed at all of the media attention about the Oso landslide in recent days. Not only have I heard reports on regional and national news, but on world news as well (I was amused to hear BBC describe Oso as a “fishing village.”) This is the second time in the last year that this has happened. Last year the Interstate 5 bridge over the Skagit river collapsed and made headlines. Now it is a disaster on the Stillaguamish river drawing attention – and the tragedy is much worse because many lives have been lost. In both situations I had the surreal feeling of being close and yet so far removed from what was happening. This one definitely hit close to home! We drive across the Stillaguamish River (“Stilly”) every day when we travel on or off of Camano Island. My boys and I enjoy fishing the Stilly for salmon every fall. Just this December we drove the stretch of highway that is now covered by the landslide on our way to get a Christmas tree. The bridge over the Stilly is the only land access we have to our island, so you can imagine that it was nerve-racking to hear people talking about possible flash flooding and debris damage to bridges downstream from the landslide. For the first 24 hours, whenever we drove over the island bridge we looked anxiously for the river flow to return to normal from the eerily low state it was in after being blocked by the landslide. Fortunately, this danger passed quickly and attention turned to all of those directly hit by the slide debris. I have already talked to one woman in our church who has family with property destroyed by the landslide. Fortunately, they only use the place as a vacation home and no one was there during the slide. But the death toll continues to mount and the list of missing persons is still large. And yet, it seems a world away from us. We have been told that volunteers are not needed at this point because already there are too many people on scene and professional rescuers (including the National Guard) are doing their work. Money donations are primarily needed at this point (The Red Cross is actively involved). But beyond this it is hard to know how to help for now. I can’t help but think that this is just the latest story in the media spotlight, and that attention will soon be focused elsewhere. The reality is, that while this disaster is huge for those of us who live in this area (and especially the residents of Darrington who have now lost their primary route to the urban Puget Sound region), soon the news stations will be bored and move on to the next sensation. In my mind, that is when the real help begins. As I look at the pictures of homes laying wrecked in a mass of mud I can’t help but notice the similarity to the devastation caused by Hurricanes Katrina and Rita on the Gulf Coast (though this landslide is on a much, much smaller scale). 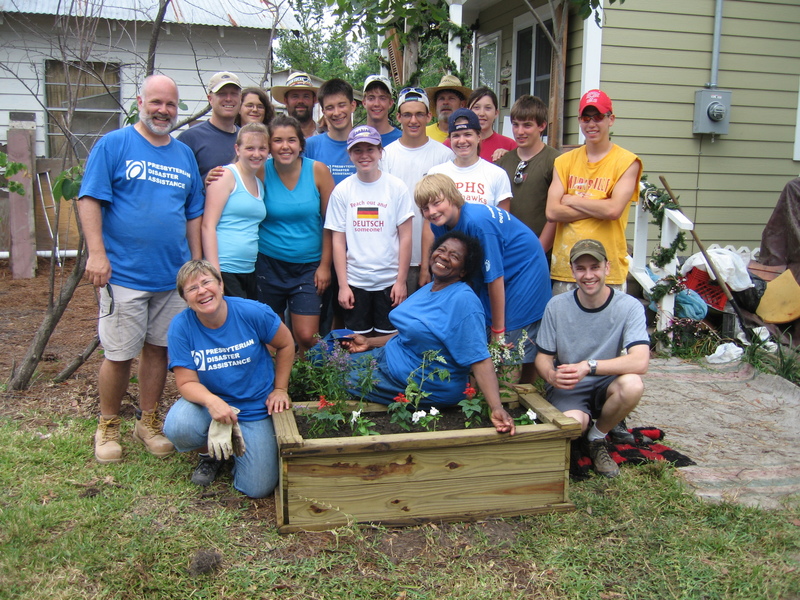 I took a team down to work with Presbyterian Disaster Assistance (PDA) roughly one year after the storms hit. At that point the media spotlight had moved on and what was left was simply a lot of work. People were trying to rebuild, trying to get insurance help, and living in small trailers where they once had a spacious home for their family. Businesses were closed and life was hard, but I was proud to see churches stepping up to help so long after others had moved on. I saw something similar in Cedar Rapids, Iowa when I went to work with PDA on flood recovery there after media attention had moved on and winter was setting in on homes still damaged. My sense is that theOso community is rather close-knit, and that there are deeply committed Christians already there and engaged. When, and if, they ask for help that will be the time for the larger church to step up. If that happens, it will likely be afterthe excitement of being a “rescuer” has passed, after national attention has turned elsewhere. Being a “first responder” might be a great adrenaline rush and might make us feel better about something that is ultimately out of our control, but being a “second responder” – out of the spotlight, pushing away the long-dried mud,listening to the grief of those still struggling with loss, speaking words of hope and doing deeds of love – that is the work of God’s church! A sign of life in the form of a raised garden bed – Pearlington, Mississippi post-Katrina/Rita.